Finding purpose in life is something that most people struggle with. If you want to know how to find your purpose in life you should then acquaint yourself we the renowned author Eckhart Tolle. He has written a book called “A New Earth – Awakening to your Life’s Purpose” where he talks about what ”true” purpose is all about (chapter 9). He explains that finding your purpose in life can be difficult if you are unable to balance your ”inner purpose” and your ”outer purpose”. Oprah Winfrey was very impressed with the book and invited Eckhart Tolle to her web classes to talk about what true purpose is, and how to find purpose in life. Below is a summary from their fascinating discussion together with a video clip. The first step in finding purpose in life, is to understand what ”true” purpose is all about. Many people spend their lives in almost permanent dissatisfaction, as they are caught up with surviving, making a living, and the stress of it. The problem is that most people only focus on the outer purpose in life, which includes career choices, setting up goals for the future etc. Outer purpose has its place but there is a more fundamental purpose in life that is often overlooked, and that is your inner purpose. 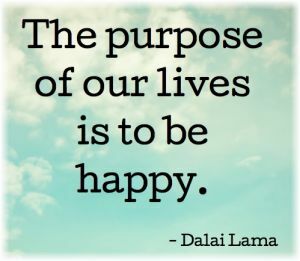 In order to find your purpose in life, you need to realize that your life has an ”inner purpose” and an ”outer purpose”. So what’s the difference? The true purpose of your life can not be found in the outer level. It does not concern what you do, but what you are/ your state of consciousness. There is no substitute for finding true purpose. Without inner purpose there is a sense of dissatisfaction. So how do you find your inner / true purpose in life? You can not find inner satisfaction through some future goal. If you want to find your purpose in life, you have to enter the state of fulfillment and satisfaction – by becoming one internally with the present moment. Your inner purpose is that alignment with where you are right now. Inner purpose is: aligning your life fully with the present moment. In order to find your purpose in life, you need to connect with your inner purpose and align with the present moment. You need to give your fullest attention to what you are doing right now, even if it doesn’t look anything like your life purpose in the future. The step that you are taking right now is primary, the destination is secondary. When you do your best in any given moment, it leads you to the next best moment. So you don’t have to worry about what’s next, if you only do your best in this moment. So, finding a purpose in life requires presence. When you worry, you are not in the present moment. Worries are made up thoughts of things you thik will happen in the future. This means that you have to either figure out what to do about “it”, or release that thought. If you can’t take any action, just be with “it”. You never have to worry about things. You choose to worry, which is a waste of time and energy. For example, you do have to pay your bills, but you don’t have to worry about paying your bills. Finding purpose in life is about honoring life! Most people live their lives as if the end is what it’s all about; as if the end is more important than the now and the means. However, the means and the end is one. If there is a dissatisfaction and denial of the present moment, then you are not honoring life – which is the present moment – and your future will continue being filled with dissatisfaction. The end result is going to carry the energy of what it took to get there. In other words, you determine what kind of future you are going to experience, by deciding to be totally aligned with the present moment. It’s your state of consciousness now, that will determine whatever that is manifested in the future, and when that happens that will be the now. So remember, finding your purpose is about you deciding your future NOW! 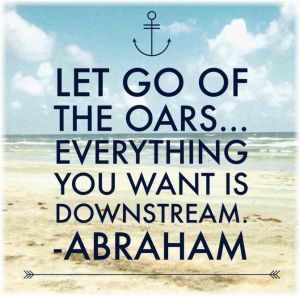 Find your life purpose by going with the flow! To find your purpose in life, you must stop “efforting”, and start going with the flow. If you are struggling and suffering, you are going against the flow of life; against your inner purpose. When you align with inner purpose, everything flows in life. When your inner purpose becomes your primary and main purpose in life, the secondary outer purpose will fall into place. When you are true to life and true to now, life will bring to you whatever is most appropriate as far as your inner purpose is concerned. Life will become “helpful” and “flow”, and suddenly an inner realization of what you want to do can come true. This realization only comes when you are aligned with the present moment. Finding purpose in life is about living in the present moment and going with the flow. Everyone has an inner purpose, and it is the same for all humanity, which is being aligned with life, by saying yes to life, and by saying yes to now. The outer purpose varies from person to person. Finding and living in alignment with your inner purpose is the foundation of fulfilling your outer purpose. This is the basis for true success! 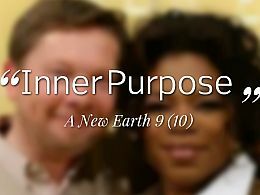 Eckhart and Oprah discusses how to find your life purpose on the Oprah Super Sould Sunday Show. Click here for more web classes with Eckhart and Oprah.